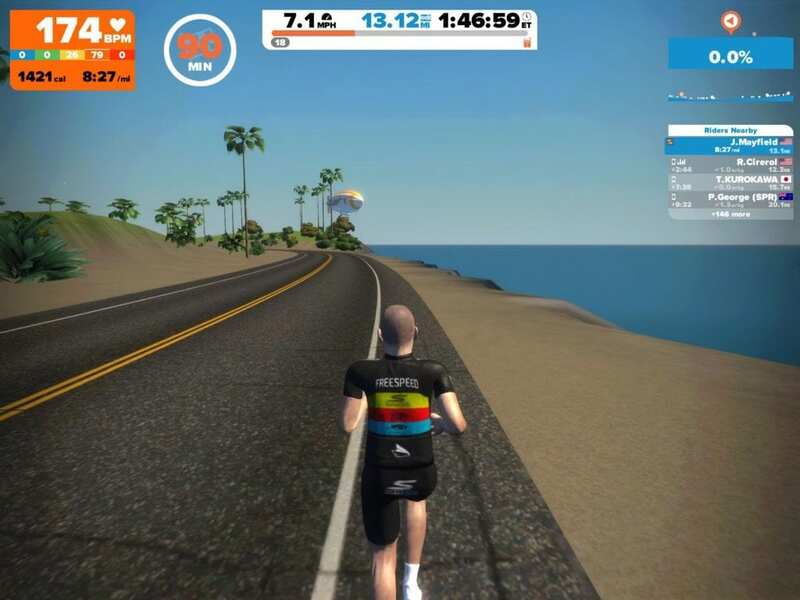 Jon has experimented with running on Zwift since its early days, but it appears that Zwift may be looking to make running an official part of the game soon now that avatars and the game display have been modified for running (see screenshots above). 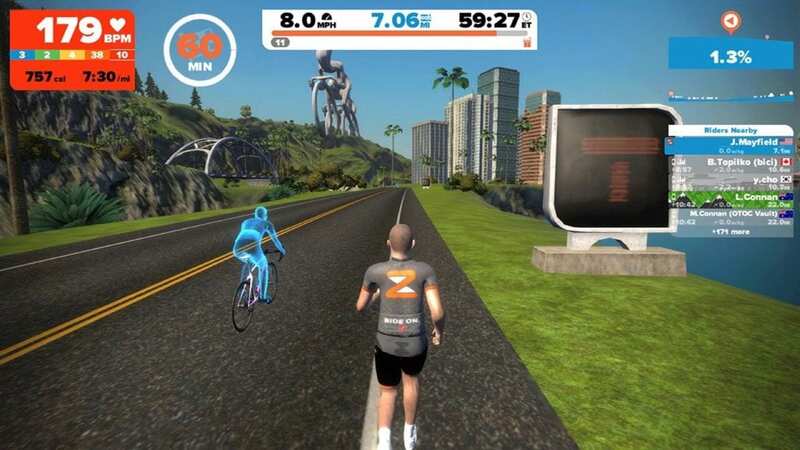 A treadmill broadcasting power or a foot pod should be enough to let runners on a treadmill easily begin using Zwift, so the barrier to entry for runners will be quite low. 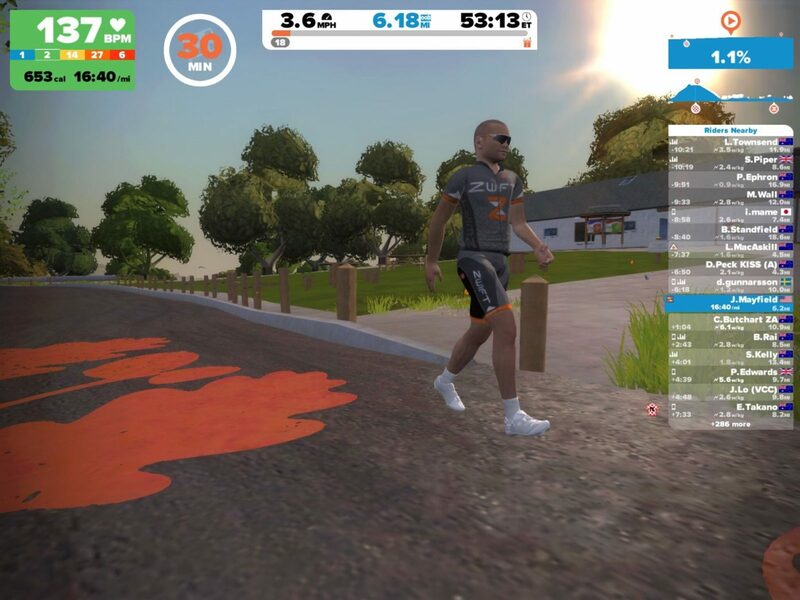 And while (like cycling) Zwift won’t replicate the true feel of running outdoors, it will certainly be a vast improvement of the typical treadmill workout. It will also open up opportunities for group runs and races. This is so very cool, I love using Zwift for cycling, to throw some running in as well would just top it off. I agree, this is way cool. I try not to run on my treadmill when I can avoid it, but it is definitely unavoidable. Having a zwift running version would definitely be welcome. How many times did Mayfield get run down by cyclists? Egads, sometimes cycling the Flat course feels like it takes longer than expected.. imagine running it! This is cool, just checking out the Wahoo GymConnect. This could essentially do for my running what it’s done for my cycling. 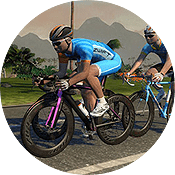 This’d be a great addition to Zwift. I’m wondering what sort of hardware will be supported for this. Additionally, the UI changes observed in these screenshots are also great to see. That is to say the visual heart rate zones as well as kcal view during the workout. I hope this makes it into release for cycling soon as well. I can’t wait for the swimming module to perform my first online triathlon!! Shouldn’t the runner be on the other shoulder, facing traffic? 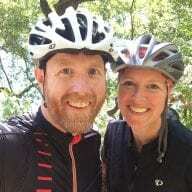 I sugggested this about a year ago and some laughed at me on the zwift forum! franticly looking for a reasonable treadmill now. YAY ! This seems really cool, but I would like to see real scenery shots and would be really neat if it were virtual reality. The lack of iOS/Android app seems like a tall hurdle (yeah, Beta, I know). Also, how would you secure a mobile device to the treadmill? The first person to answer “tape” or “velcro” gets roshambo-ed. Also, finding stable, accessible Wi-Fi at a gym is like finding a Unicorn. At least in my ghetto gyms. MilestonePod just released real time beta, so the $25 foot Pod works seamlessly on Zwift. 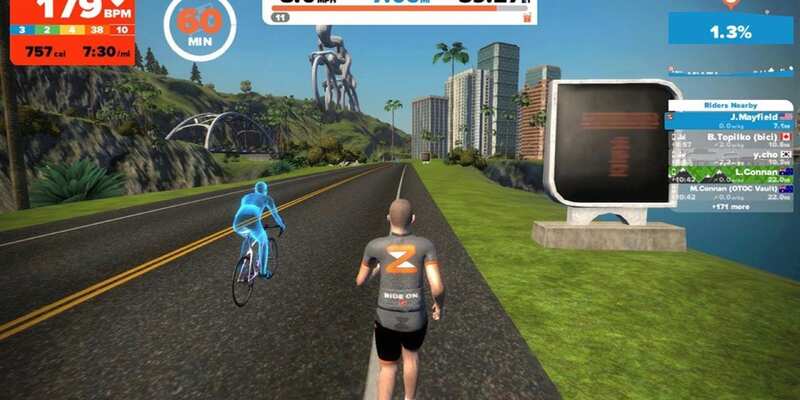 Zwift runners seem to be very excited about it! I sent the Milestone folks a message to see if they’ll send me a pod to review. Also have a Stryd on the way! i’ve started to see a few more runners out there. i have the iOS beta. how do i get my hands on the running version/beta? Had Stryd working today as a test. Synced up and I was running around inside the house! I’ve got a Garmin foot pod and treadmill ??? That enough ? Is running currently only supported on the app for iPad? I was hoping it would have been opened up to at least the iPhone now. We need calibration feature for foot pod.